New research, which appears in Ecological Applications, suggests that the frogs underwent ecological and/or evolutionary changes that enabled the community as a whole to persist, despite severe species losses. 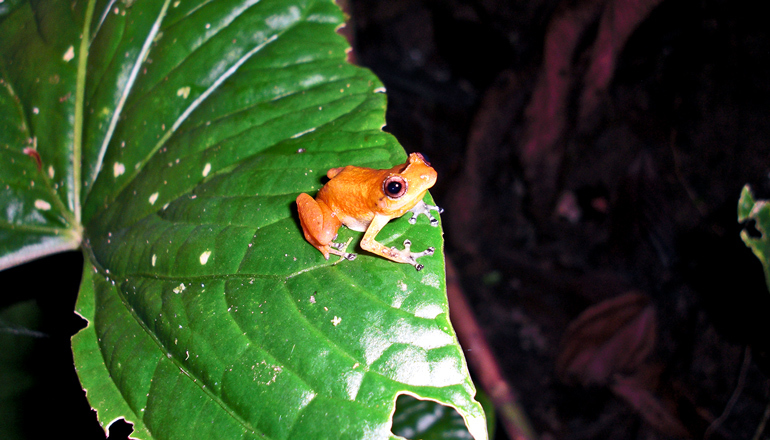 The results could mean good news for other hotspots of amphibian biodiversity hit hard by the chytrid fungus, such as South America and Australia, researchers say. DiRenzo and her colleagues returned to the same small, two-square-kilometer field site in El Copé every year from 2010 to 2014. They broke the field site down into smaller, 20-meter subsites, repeatedly sampling the subsites several days in a row within a season. Each time, the researchers tested individual frogs for the presence of the fungus while assessing the severity of any disease symptoms.